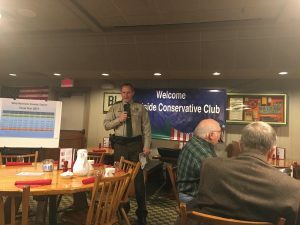 URBANDALE, Iowa-Dallas County Sheriff Chad Leonard and County Supervisor Mark Hanson spoke the members of the Westside Conservative Club on Wednesday at a breakfast at Iowa Machine Shed restaurant. They shared information about an upcoming bond vote for a new law enforcement facility that will be an improvement to the current overcrowded, outdated jail in Adel. Sheriff Leonard said that Dallas County is the fifth fastest-growing county in the nation right now. “But that dramatic growth has caused some problems. 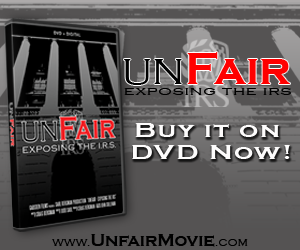 Some days we outsource more prisoners than we have in our jail. We have to rent space from other jails which costs $55 per prison per day.” That does not include the cost of transportation to other counties. Furthermore, counties such as Story County where most of the overflow inmates are sent are also experiencing overcrowding and are unable to absorb the excess from Dallas County. Leonard explained that there are many requirements that have to be met in order to be in compliance with Iowa Code. “Prisoners have to have at least 35 square feet of individual space. The jail has 36 beds with the ability to house an additional 12 temporary inmates. But the average daily jail population in 2016 was 53 inmates. Iowa Code also requires that prisoners must be given a minimum of 2,200 calories per day. The current jail does not have a kitchen, which increases the cost of food service for off-site preparation.” Sheriff Leonard said that the Dallas County jail is ranked as the most overcrowded jail in Iowa. Supervisor Mark Hanson talked about the benefit to Dallas County tax payers over the long term. Hanson said that over 30 years, the $22.9 million bond referendum will cost $217 million to build and operate a new facility. However, it will cost an estimated $239 million to operate the current outdated jail over the same time period. Citizens of Dallas County will vote on the bond on Tuesday, May 2nd. 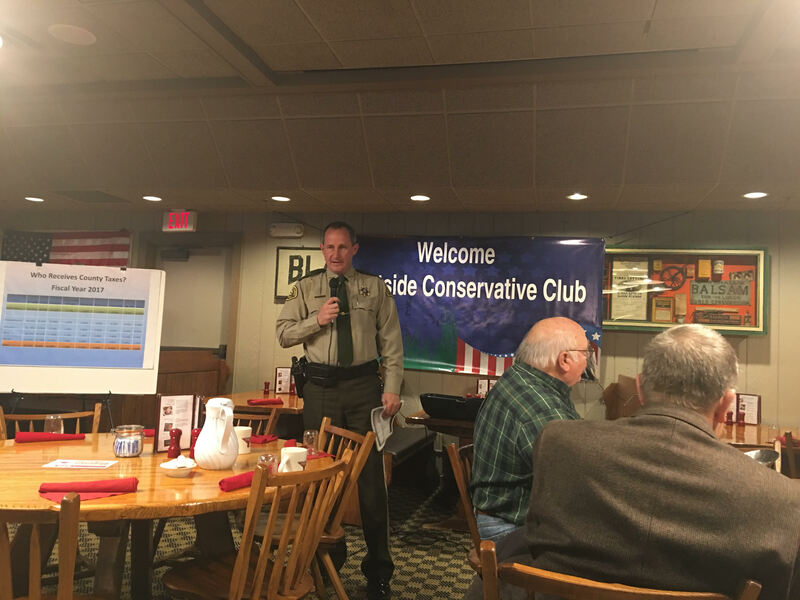 Westside Conservative Club organizer Kim Schmett thanked Sheriff Leonard and Supervisor Hanson for speaking and announced that Governor Branstad will be the guest speaker at the next Westside Conservative Club on Wednesday, May 10th at 7:15 AM at the Iowa Machine Shed.